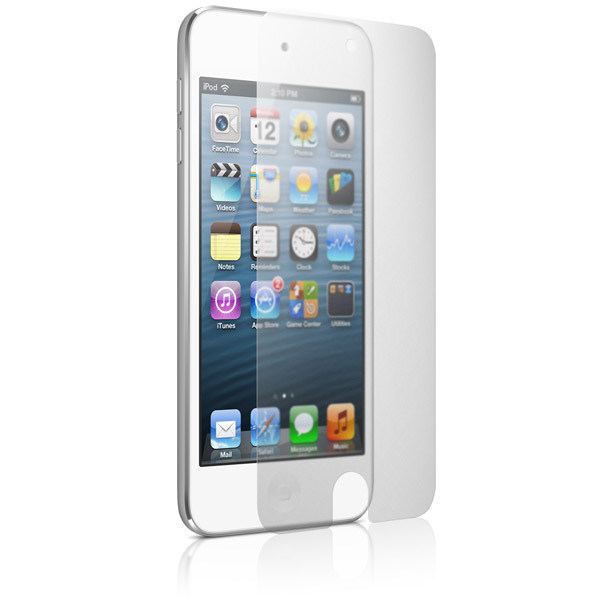 Tough Mylar protective films offer zero-bulk protection and visual enhancement for iPod. 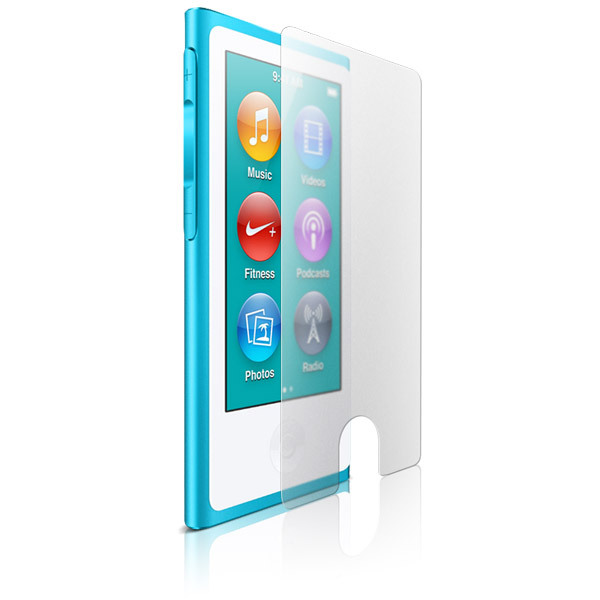 Description: ClearCal - includes two complete sets of ultra-thin and super-tough Mylar protective panels which invisibly protect iPod's finish. ClearCals are easy to apply or remove and can be cleaned and reapplied multiple times with no reduction in performance. ClearCal's low surface tension adhesive features a healing effect which effectively hides minor scratches, surface defects and abrasions. 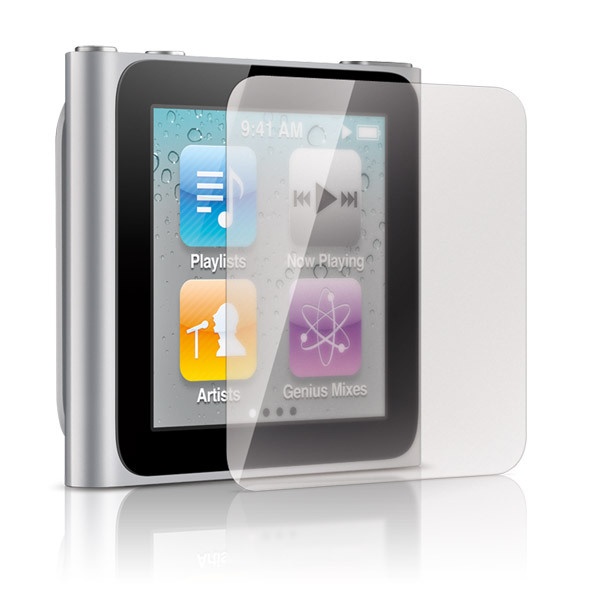 The optically-correct Mylar surface resists scratches and abrasions to keep your iPod looking great for years. A great companion to iPhone cases which may scratch - allows docking with most iPod docks and accessories. 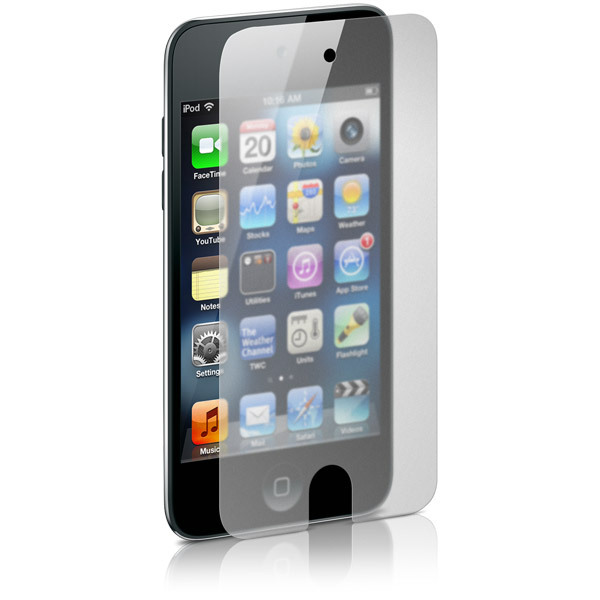 Surface finishes for iPod touch include Anti-Glare, Transparent and Mirror. Two models and 3 surface finishes for iPod touch, display only or full coverage. 6th Generation includes 3 panels: display, click wheel and full back. 5th Generation includes 3 panels: full front faceplate, click wheel, and full back. 3rd Generation includes 3 panels: display, click wheel and full back. 2nd Gen nano includes 3 panels: display, click wheel, and full back. 1st Gen nano ClearCal includes a windowed front and full back. Note: Before applying, make sure hands and iPod are meticulously clean and debris free. Carefully peel the backing sheet from the front ClearCal panel. Fold backing sheet in half and hold together with ClearCal. Avoid touching the exposed adhesive. Line up top and side edges, then roll the ClearCal slowly onto surface. Use fingers and backing sheet to squeegee out any entrapped air. To install ClearCal panel on iPod's metal back, repeat steps 1-5. If ClearCal panel is misaligned, carefully lift and reposition. Adhesive side can be cleaned with soap and water and reapplied. 2G nano: Carefully align, then apply display and click wheel films to front.